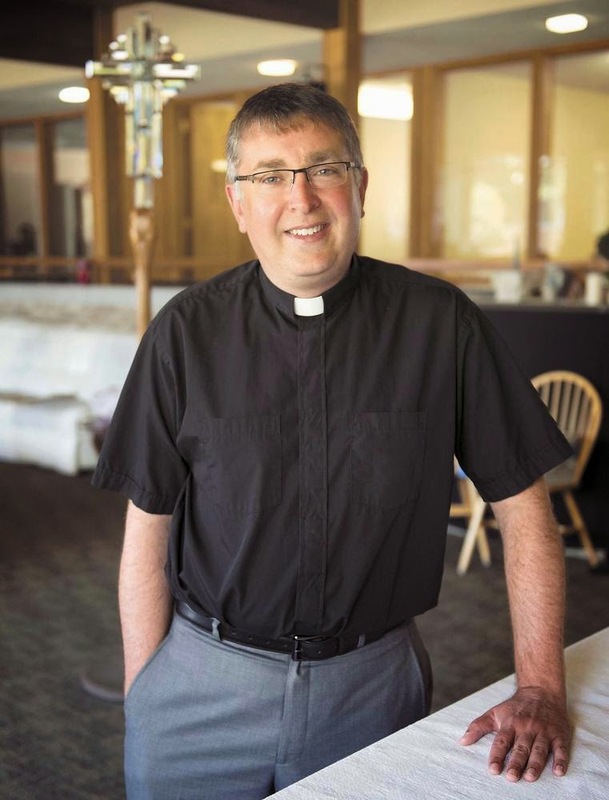 FARGO – To exemplify how he’s feeling about having been elected future bishop of the Evangelical Lutheran Church in America’s local synod, the Rev. Terry Brandt recounts a news story from 1982. It involved a truck driver from California who dreamed of flying. Without a pilot’s license, the man thought up a way to do it, taking flight in a lawn chair launched by a hoard of helium balloons. The balloons ended up hoisting him much higher than he’d originally planned, however. When he was finally brought back down to earth with the help of a rescue mission, the media met him. That sums up Brandt’s feelings, too, as he orients himself for his newest commission, which will take place officially during his installation on Aug. 23. As society changes, believers are asking new questions. Young people don’t want to be told what’s black and white, he says. They want to be welcomed for who they are. All this requires a new way of looking at how past and present might meld, and attempting what he calls “holy experiments” to see where God is leading the church. As interim assistant with the bishop, the Rev. Lee Yarger has worked closely with Brandt, who has been serving the bishop as associate the past six years, witnessing what he says is a very balanced personality well-suited to his new role. “To be an effective bishop, you have to be a leader – a pastor to people, and especially a pastor to pastors – but there are a lot of other things involved, too, and he seems to embody them all,” Yarger says. Being financially astute, liked by the flock and employing a strong work ethic while still staying dedicated to one’s family are all in place within Brandt. He also has an unusual ability to keep his sanity in the midst of chaos. “He can have things swirling around him, and then come into the office and still have a smile on his face,” Yarger says. In addition, Brandt gets along with just about everyone, according to Yarger, whether the Scandinavians who have long inhabited our area or New Americans more recently joining our communities. Brandt’s destination seems to have been sealed in childhood in Elmore, Minn., where he was growing up with his parents and older brother, learning with his 10 classmates, and active at Shiloh Lutheran Church. It was then that his Grandpa Arnold “Arnie” Brandt, who’d long dreamed of an offspring going into ministry, applied a label to his young grandson that stuck. “I was probably about 7 or 8 when he gave me a nickname that to this day my entire family calls me – ‘The Rev,’ ” Brandt says. At the time, he took it more as a joke. But after a stint as a counselor at a summer Bible camp during college, Brandt began wondering if his grandpa hadn’t been prophetic. Until then, while studying at Southwest Minnesota State University in Marshall, he’d imagined himself as a business teacher, maybe an administrator someday. But now he’d been shown something new about himself. Brandt made the decision his junior year to pursue seminary after college. With his home congregation and all of his family supporting him, Brandt stepped into his future, which now also included a girl named Kristi. The two had hung out as friends throughout college, and during his time at Luther Seminary in St. Paul, the city where Kristi was working, the two realized they might be a permanent match. Kristi says Terry’s authenticity claimed her heart. In marrying him, Kristi also was agreeing unknowingly to a future that would include a series of jolting moves and big decisions, which the two would tackle together, always seeing one another’s vocations as equally important. Kristi Brandt is a high school principal in Valley City, N.D., where the family lives with their children, Lindsay, 18; Kallie, 15; and Austin, 11. They’re still discerning whether they’ll move to Fargo or continue having Terry Brandt commute, as he’s been doing. Past congregations Brandt has led include Concordia Lutheran Church in Crosby, N.D, where he did an internship; the two-point congregation of Trinity Lutheran in Alberta, Minn., and Good Shepherd in Appleton, Minn.; along with Clarkfield Lutheran, Clarkfield, Minn.; and Grace Lutheran, Fairmont, Minn. He says the call in 2008 from his former pastor, Bishop Bill Rindy, asking him to consider coming to Fargo to work for the local synod was unexpected. But he’s enjoyed it – “the joys and struggles alike” – and feels well prepared for the course on which he now finds himself. As he ponders all that’s ahead, Brandt can’t help but think of his Grandpa Arnie. Brandt recently emailed his extended family to see if they had anything of his grandfather’s he might bring to the installation.